‘I had no idea such a thing existed’ is a frequent response I get from the very people who have heard about immigration detention for the first time. For those who haven’t experienced it directly, this is a reality that is hard to understand. For many, it comes as a complete shock to learn that we are locking up migrants in prison-like conditions because it is administratively convenient to do so by a say-so of civil servant. On top of that, we are using detention at a mass scale, as a routine measure and without a time limit. Why is this practice so hidden? The nine detention centres with combined capacity of around 4,000 bed spaces, are hard to reach or they stand in anonymous non-descript industrial estates. But if you have ever flown out of Heathrow or Gatwick airports, the likelihood is that you have come very close to four of these centres: they are literally yards from by one of the runways. Officially, they are called Immigration Removal Centres but they are essentially prisons, many are to high security prion standards. They do not come cheap either: around £125 million a year is spent to run and manage these structures. With their high-tech security system and barbed wire, unwanted migrants can conveniently be warehoused in confined places under surveillance. For those with irregular and temporary immigration status the fear of detention is now a fact of life, and increasingly so as community-level enforcement activities such as workplace raids proliferate. Every year, nearly 30,000 migrants are swallowed up by the UK’s detention estate. After being arrested at their work places, homes, reporting centres and ports of entry they are taken in security vans to one of the detention centres. But their detention is often pointless: more than half of those detained are released back into the community. The latest statistics show that a third of those leaving detention have been detained longer than 29 days. As of the end of June 2017, one man had been in detention in excess of four years. Think about it – four years. This undeniable centrality of detention in UK’s immigration system is a national disgrace that denies human dignity of so many migrants. In theory, detention in immigration context can only be used as a measure of last resort for a shortest time possible to effect removals and deportations and only when less coercive measures (alternatives to detention) are not available. Deprivation of liberty is a serious business. It should be an exception, but in the UK it is the norm. Over the years, a number of reports, inquiries and reviews highlighted, time after time, a long list of human rights concerns and devastating harm of immigration detention. Mental health collapse and self-harm is common. Suicide attempts are frequent, some resulting in tragic deaths. Incarceration also exposes people to potential abuse as seen in a recent Panorama documentary. Prison structure comes with prison regime and the controversial use of segregation units. It is hard to argue that this is good for migrants. 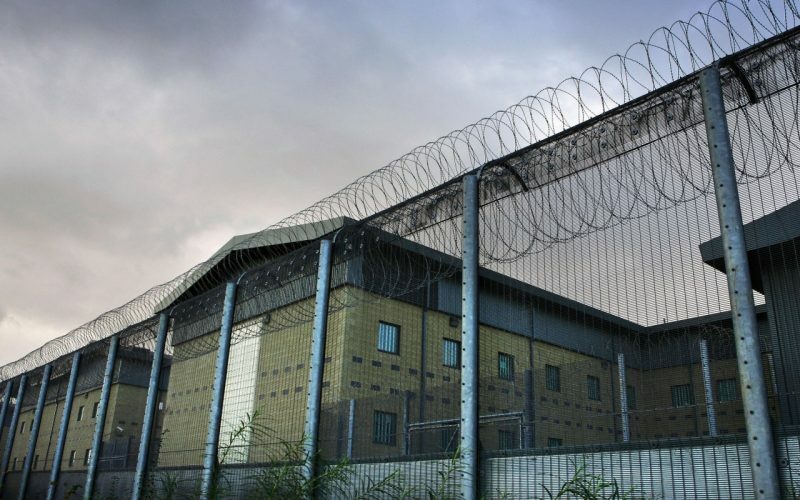 The most salient feature of the UK detention regime which has attracted the fiercest criticism from all quarters is that it has no time limit. As a result, many spend months and years in detention, enabling the Home Office to act with impunity: it creates a culture of ‘detain first and think later’. The consequence of this policy is devastating. After all these years of working with people affected by detention, I am still struck by the consistency with which they talk about the singularly terrible impact of a lack of a time limit on detention. They invariably say that not knowing how long you will be detained is soul destroying. Many say that prison sentences are preferable because at least you know when it is going to end. These anguishes are compounded by family separations, isolation from your communities and prospect of possible deportations to countries that might not welcome you or where you have been absent for decades and, naturally, know no one, or do not even speak the language. At the Detention Forum, our members have been campaigning to introduce a 28-day time limit on detention, end the detention of vulnerable people and 72-hour automatic judicial oversight of detention. We are also trying to shift the narrative, to quell our toxic anti-migrant enforcement culture. The government position is that detention is absolutely necessary. Based on research, policy analysis and pilot projects, we are building an alternative narrative which makes detention redundant. We believe that the government can dramatically reduce its use of detention by using a wider range of community-based alternatives to detention which respect human rights and human dignity of migrants. Such community-based alternatives to detention are less harmful, less expensive and offer help that enable individuals to engage with immigration procedures better. Expensive detention centres can be closed down and the money saved can be used to support migrants in the community instead. And we believe that that we are slowly shifting the ground. The combined efforts of civil society organisations’ broad campaign started to gain cross-party support for detention reform a few years ago. Now in 2017, immigration detention is firmly on the political agenda. During the 2015 General Election, Labour and Liberal Democrats pledged to end indefinite detention. Similar pledges were made in the 2017 General Election by Labour, Scottish National Party and Liberal Democrats: some also included introduction of community-based alternatives in their detention reform package. A call for a time limit has indeed become the norm of many political parties. The most powerful driver for this narrative shift has been experts-by-experience, such as Freed Voices, who speak from their direct experience of immigration detention and demand change. The 2015 Parliamentary inquiry into the use of immigration detention, which triggered this narrative and political shift, received more than 200 submissions of evidence, mainly from experts-by-experience. They spoke at every public oral evidence session, talking straight to the panel advocating for a radical reform of immigration detention. After months of investigation, the panel concluded that UK detains far too many people for far too long and recommended a 28 day time limit and implementation of more community-based alternatives to detention. This was followed by the government commissioned inquiry Shaw Review which urged the government to reduce the use of detention ‘boldly and without delay’. In Immigration Act 2016, we also secured some concessions: a 72-hour time limit on detention for pregnant women and also introduction of an automatic judicial oversight after four months for some categories of migrants. In January 2016, for the first time in history, the government conceded that immigration detention is a problem and promised a reform. But the promise of detention reform has been broken. 18 months later, the scale and the length of detention have not gone down. This is why we need more sustained political pressure to ensure such a reform is indeed delivered. There are three pieces of advice we have for people who want to engage politicians in anti-detention campaign. Firstly, raise awareness about immigration detention so that people feel compelled to take action. Few people know the reality of immigration detention but there is a lot of resources out there which gives plenty of information about immigration detention. For example, the Detention Forum’s flagship social media project, Unlocking Detention, will be starting in October. You can follow us on Twitter and learn more about immigration detention that way. Consider what concrete policy proposals you will be making when encouraging politicians and political parties to take a stand against immigration detention. Our view is that saying ‘detention is bad’ is not enough: it says nothing about what actions should be taken. Just saying ‘end detention’ is probably not enough either: politicians and political parties need to know how such change can happen and what policy changes need to be made in what order to deliver that change. In the context of Labour, it might be useful to follow up on the election pledge to end indefinite detention: what does this really mean? Don’t reinvent the wheel, amplify. There are many civil society organisations who are already working on this issue already. If your group need more information, get in touch with us. And most importantly involve us migrants and experts-by-experience in your work. Just like any other government policy, immigration system must be fair, respect human rights and protect human dignity. We believe that for this to happen, a dynamic, holistic, campaign which involves many voices is necessary. We hope you join us.